Math and Physics teacher, Alex Weinberg, of Naomi Shemer Sci-Tech school in Gan Yavneh, broke a record when all the judges of the sought-after TRUMP PRIZE voted for him unanimously. The annual Trump Prize was established by brothers EDDIE AND JULES TRUMP (no relation), Jewish billionaires from Miami, who have invested over $150 million to upgrade Math and Science education in Israel. 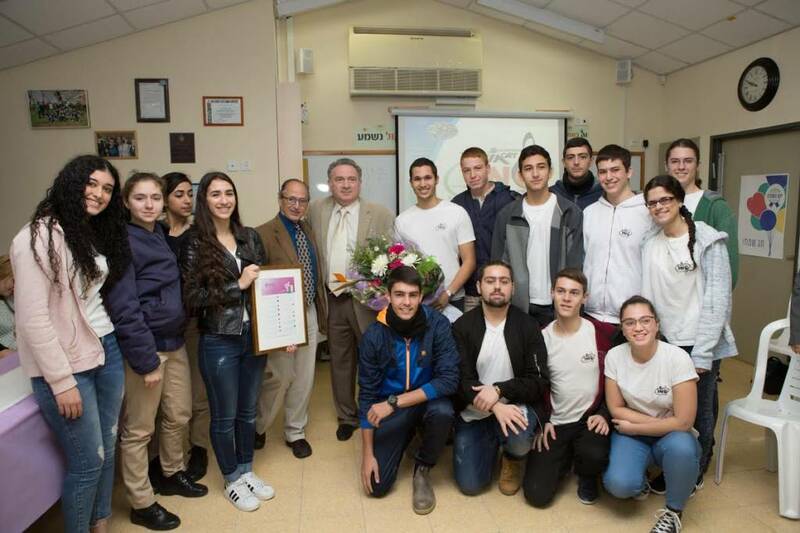 It’s our second win; in 2012 Israel Sci-Tech Schools teacher Nikolai Shwartz was awarded the prize. Nobel Laureate Michael Levitt (to Alex’s left) and Alex’s excited students presented the Trump Prize to him at a joyful ceremony. 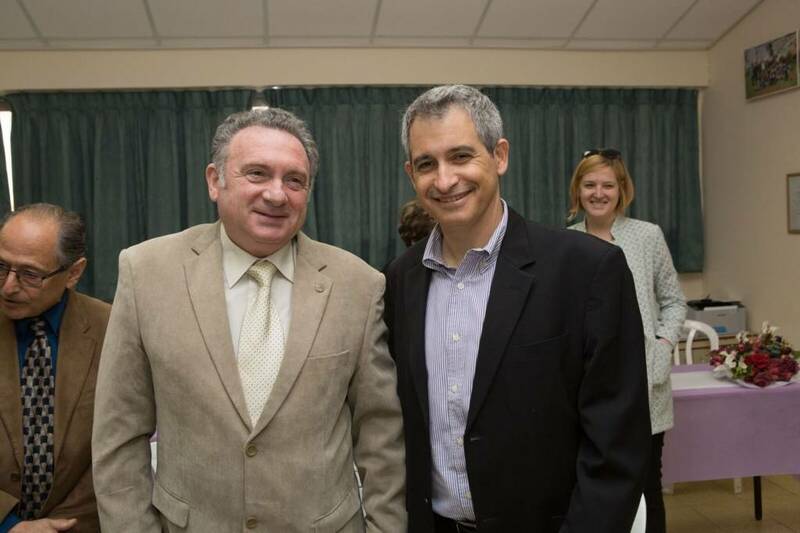 Alex (left) with Eli Hurvitz. Alex immediately announced that he is donating a large part of his prize money to his school for the advancement of excellence. Prof. Levitt congratulated Alex, saying he plans to set up a collaboration between his own students at Stanford University and Alex’s students. Alex’s students spoke from the heart, “Alex is characterized by his warmth and his close personal relationships with his students, giving each one of us individual attention.